ancient Egypt’s “Trajan’s Kiosk” (near Aswan). See this “Triptych” three-in-one doorway behind Jesus? Scholars haven’t recognized it, but the Triptych pattern is vastly ancient. 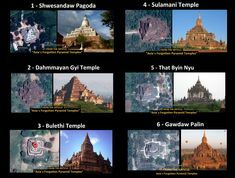 It can be found in temples that predate Christianity by thousands of years. Highly symbolic and deeply esoteric, the Triptych enshrines a lost magical wisdom-teaching. This wisdom-teaching has the potential to alter our understanding of Western civilization and change the course of history. 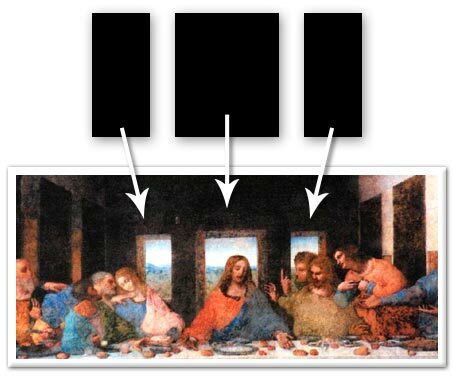 The Triptych in The Last Supper is a real-life, non-fiction Da Vinci code, hidden in plain sight. Da Vinci used the Triptych to endow his work with an esoteric meaning. He seems to show that his beliefs ran counter to orthodox Christianity and had more of an ancient Egyptian flavor. In fact, evidence exists which shows that the design and layout of The Last Supper was centered not on Jesus, but the Triptych. 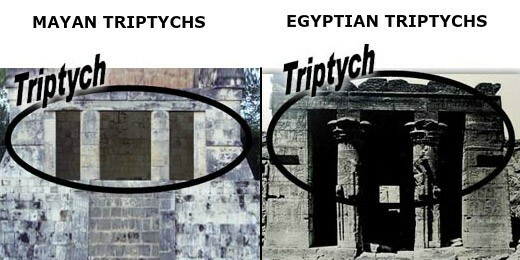 I discovered the Triptych while training for a career in Egyptology in Cairo, Egypt in 1996, one year after graduating from Pace University in New York City. 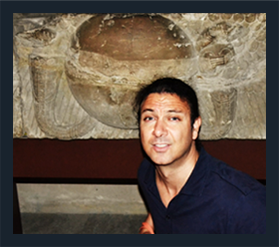 I was in Egypt looking for cultural parallels shared by ancient “Old World” civilizations (like the Egyptians) and ancient “New World” civilizations (like the Mayans). Victorian-era scholars (1800s) had already uncovered many such parallels, including pyramid construction, mummification, and corbel vault architecture (see photo below). Intrigued, the Victorians traced these parallels back to the same theoretical source—Atlantis. These scholars envisioned Atlantis as a prehistoric yet highly-advanced Golden Age civilization. Atlantis was first named by the ancient Greek philosopher Plato and later by the classical historians. By the end of the 19th century much literature had been published on Atlantis by many respected professionals. Nevertheless, the Atlantis theory fell out of favor late in the 20th century. 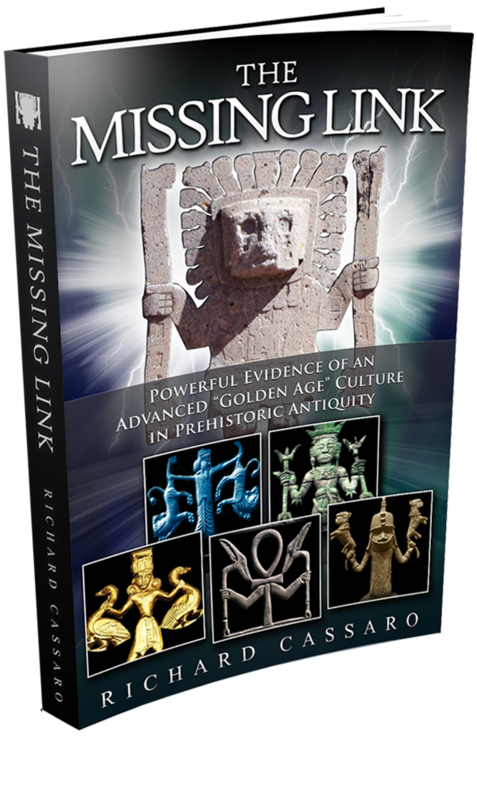 Today, academics describe ancient cultural parallels as “coincidental” patterns in human evolution. 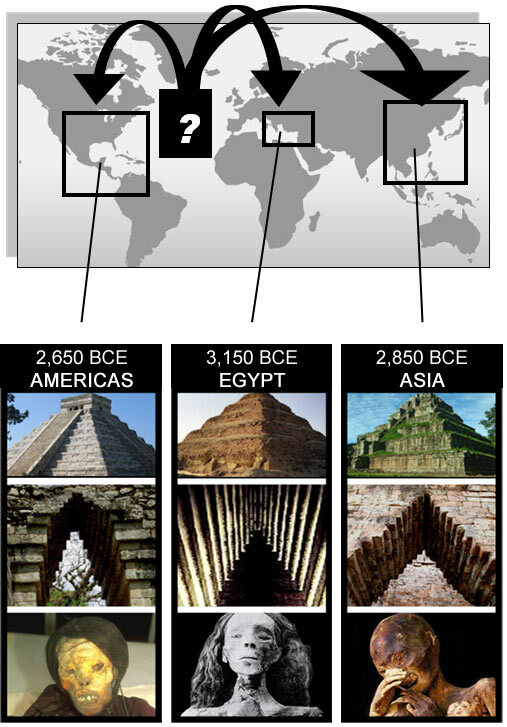 Aren’t cultural similarities like stepped-pyramid construction and mummification far too detailed to have suddenly appeared simultaneously worldwide, after millions of years of human evolution? 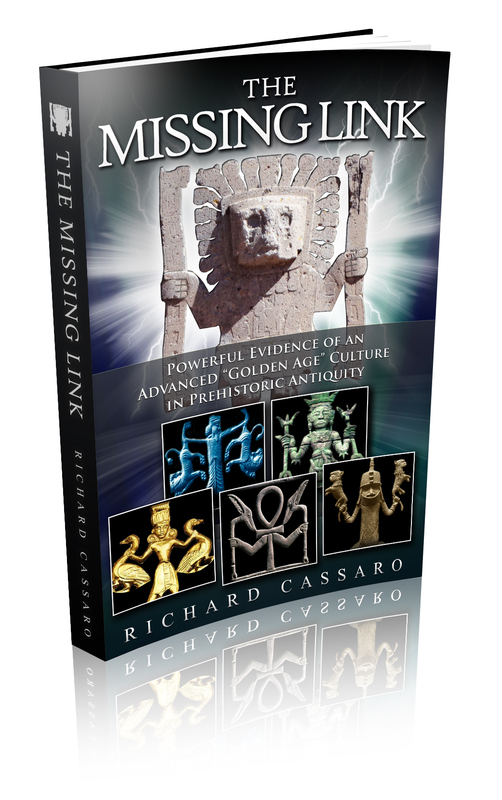 This never seemed right to me, and in fact seems almost academically dishonest; parallels between other societies have been made and accepted on much weaker archaeological evidence. So when I set out for Egypt in 1996, I was looking for a big discovery that would prove the existence of Atlantis; something that would shift the paradigm. What I found amazed me, and amazes me more as I continue to unravel it. In particular, I noticed strange and powerful similarities, finds that the Victorian scholars had missed; finds that led me to believe there was something more here. The pinnacle of these finds came one day while I was sitting in front of the Temple of Dendur. Suddenly, it hit me. 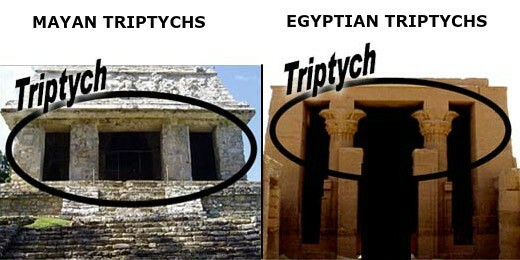 The Triptych temple architecture looked just like Mayan temples! 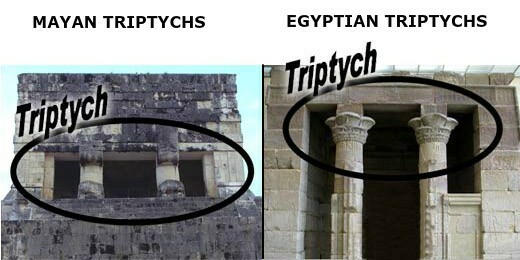 The Triptych formed the facades of temples on both sides of the Atlantic! It was the greatest aha moment of my life. After years of study, I have come to discover that the Triptych is not just a random aesthetic (visual) similarity. This wisdom-religion is an advanced spiritual doctrine based on the number Three (hence the “three” spaces of the Triptych). I began to call this wisdom-religion a “Sacred Science of the Soul” because it teaches no less than the meaning of life. I’ve now been studying the Triptych for almost 20 years. It has taught me who I am, and I’ve learned many fascinating and mysterious things. 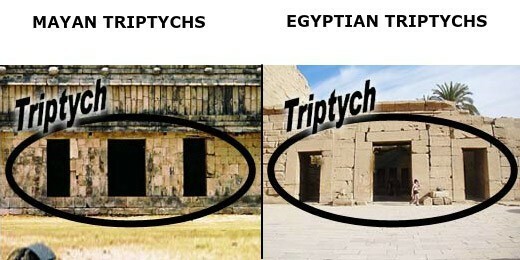 How the Triptych was built by the world’s first civilizations. 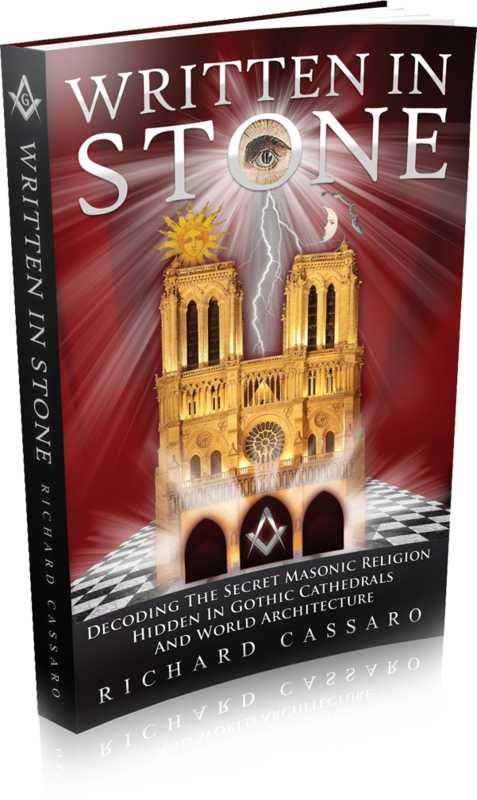 How the medieval operative Freemasons—a Secret Society scholars say built the Gothic cathedrals—encoded the Triptych into architecture to pay homage to it and to leave it for posterity. 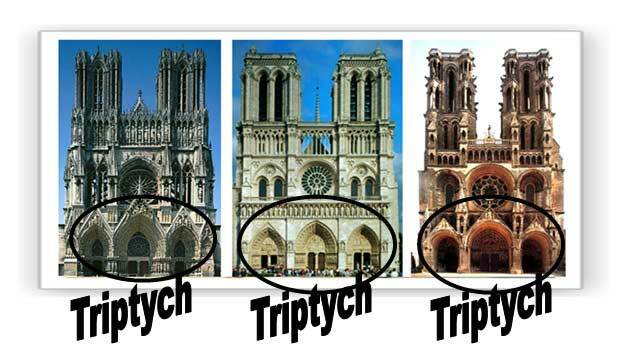 The Western facade of Gothic cathedrals (i.e., the Twin Towers, Rose Window, and Triptych entry) reveals the ancient meaning of the Triptych. 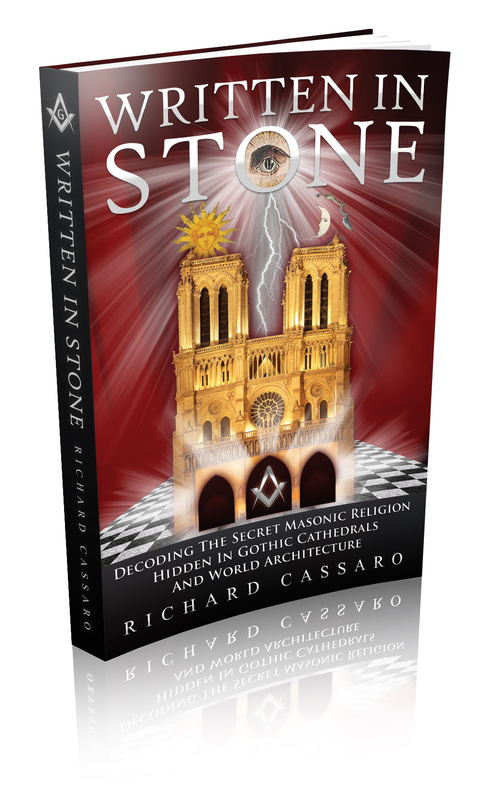 How these Secret Societies have since been stripped of their noble founding purpose, leaving an empty shell of meaningless symbols, rites, and rituals, and creating a breeding-ground for men with less honest intentions. 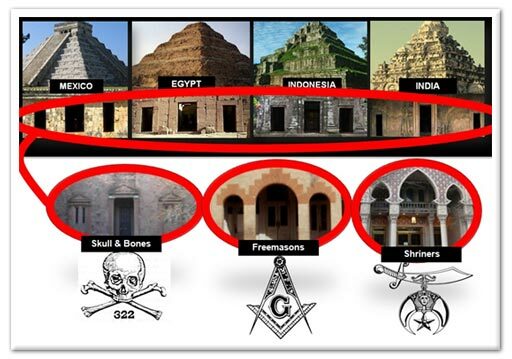 This merely scratches the surface of the lost ancient Universal Religion and Secret Society traditions. You’ll see evidence presented that decodes the Western facade of Gothic cathedrals, step-by-step, to reveal a big part of the message of the Triptych. 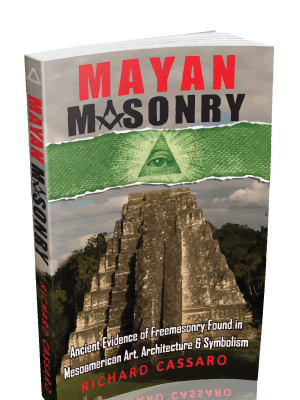 Much more is revealed in the pages of Written In Stone, and there will be more to come on this website (www.DeeperTruth.com) so stay connected!